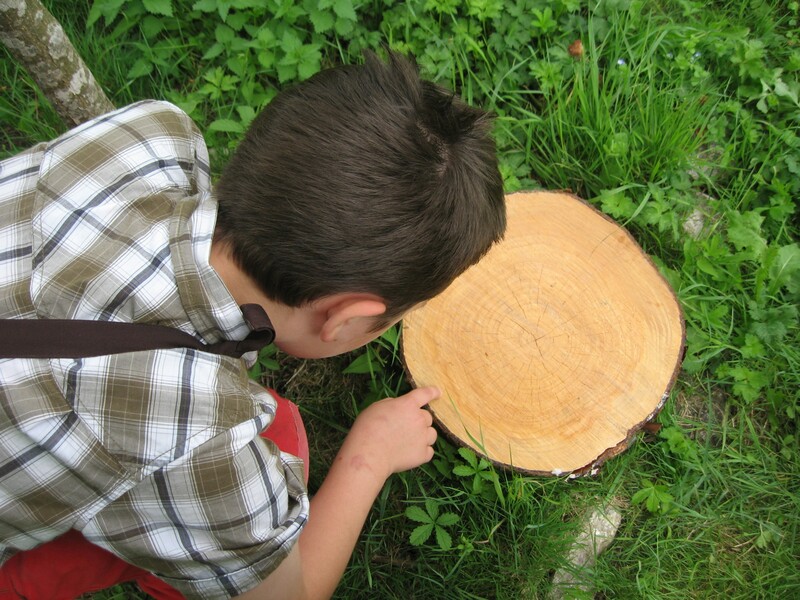 Take the children to a place outside and ask them to look around and see what in the natural surroundings they are attracted to, that they find beautiful. Ask them to choose one thing in their environment, whether it’s a tree, a pinecone, a mountain, a cloud, an animal, another person, or a breeze, that they love or appreciate. Then they can reflect on how it feels to recognize in themselves the same qualities they appreciate in nature. It can become a good discussion/reflection on interbeing and our oneness with our environment, too. We shared this activity with the children in Deer Park’s family retreat in 2007. Sr. Susan and Br. Phap Dung led their group outside and asked the children to observe something beautiful in nature and to write a sentence describing that beauty. Then they had to write the same sentence, using the same words, but substituting themselves for the scene or object they had just written about. Sr. Susan helped the children with the second part of the exercise. The exercise is taken from Michael Cohen’s work and helps us to see that all the beauty we see around us is also the beauty within us. Only some of the poems had names on them, and we indicated them, and we are so grateful to all the children for sharing their beauty with us. I offer comfort to others, friendliness to others, and my beauty is just me. I love the way I reach for the sky. I love the way I hold my heart in welcome to the sun. I am a friend of other people, hoping you’ll be my friend. I offer love and nourishment and good food to others. I am right here now very present. I am good at thinking of deep truth. I am good at reaching out to others people and sometimes I am sharp too. I am very bright like the sun. I have gentleness and offer gentleness to others. and the way I look so beautiful in my brightness. When I move, I am so wonderful. I make people feel calm, comfortable(like a shady tree). I make people feel cheerful and not alone. I make people feel that anything is possible. I am full of peace, gentleness and peacefulness like a gentle sleep. I can be cool laying down or standing up. I am happy to be a teenager soon and to be a boy so dignified looking. I have brightness like the sun. I give comfort like shade. I give cooling happiness like breeze and I have beauty.